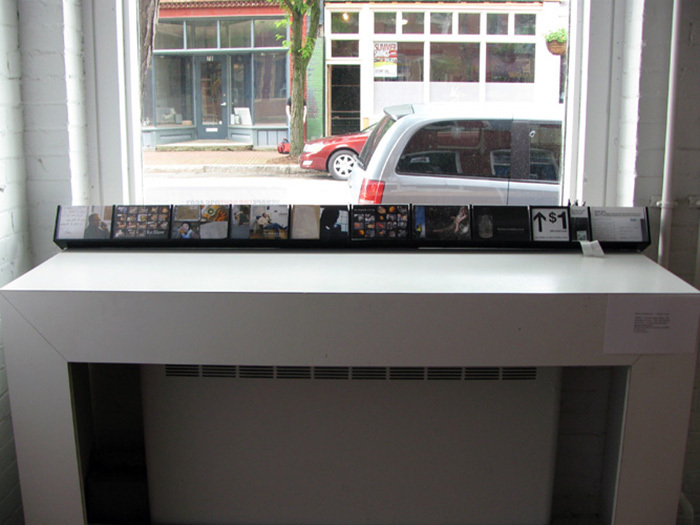 A series of postcards documenting an on-going project between Sean Salstrom and Helen Lee. A Transcontinental glassblowing Collaboration Between Sean Salstrom and Helen Lee. As former classmates and glassblowing partners, Sean Salstrom and Helen Lee reinstate their working partnership despite living on opposite coasts. This project involves a repeated process of blowing a glass cup for the purpose of toasting their friendship, exchange via post, and melting the glass down to begin the process again. Viewers are invited to purchase the postcards and continue to send Sean and Helen’s glasses in the mail to friends and loved ones.